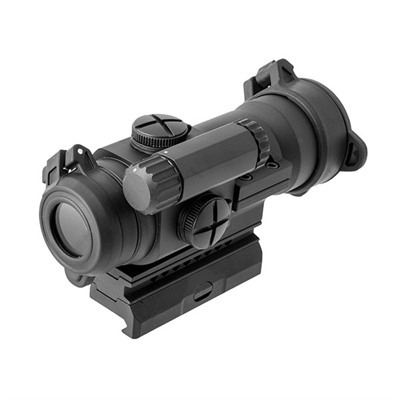 Parallax-free, non-magnifying red dot sight is ready at all times, with no switches or levers to fumble with. Simply install the supplied battery, turn the PRO on, and forget about it – for up to 3 years! 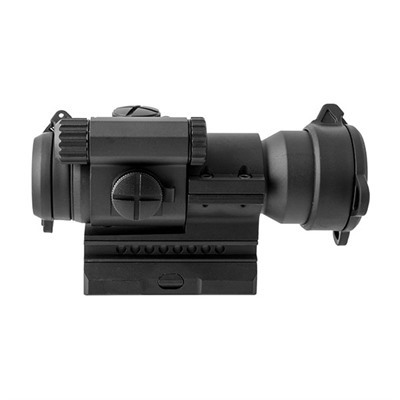 2 MOA center-dot, with 6 daylight and 4 night vision brightness settings, enables accurate target engagement under a broad variety of conditions. 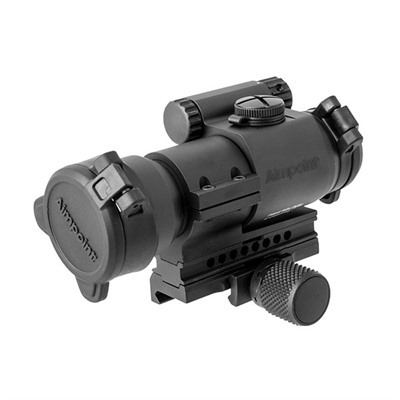 Includes a detachable spacer that allows co-witnessing with the standard iron sights on AR-15/M16/M4 weapons. Or remove the spacer to install the PRO on shotguns or submachine guns. Integrated “rail-grabber” mount with knurled, oversized knob aids in quick attach/detach on Picatinny rails. 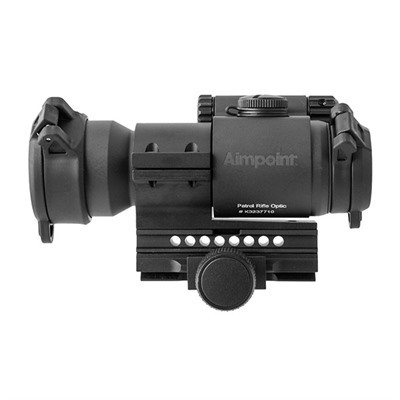 Compatible with all generations of night vision devices; may also be used with Aimpoint 3x Magnifier and Concealed Engagement Unit. Flip-up lens caps included. Hard-anodized aluminum, 5¼” (13.3cm) OAL. 3” (7.6cm) high, including spacer. 13 oz. (368.g) wt. Unlimited eye relief. Waterproof to 150’ (45m) depth. One DL1/3N lithium battery, included.